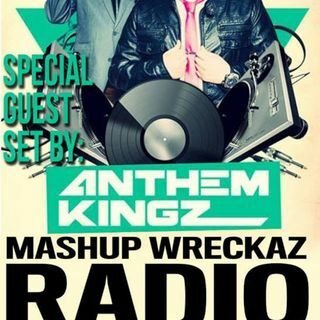 Mashup Wreckaz Radio Episode #12 with special guest " The Anthem Kingz"
We are excited to announce that our next episode will feature our homies from Crooklyn Clan and current top remixers on Crooklyn Clan "The Anthem Kingz". The first live mix that you will rock out to features my partner DJ Baddmixxrick and then followed by a live mix by "The Anthem Kingz". The Anthem Kingz were our guest on 96.9 Kiss Fm this past Saturday and we had to feature them on our podcast!